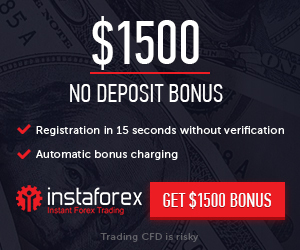 It was a choppy day yesterday as traders remained cautious about the prospect of higher interest rates in the US, mounting political pressure in Italy, and deteriorating global trading relationships. We saw huge swings in European and US stock markets as traders were battling with the age old emotions of fear and greed. Traders love to snap up relatively cheap stocks, but sharp moves to the downside have left some traders worried this could be the beginning of a major decline. Stocks in Europe and the US finished the day firmly in the red. Overnight, China reported the September trade figures, and the surplus was $31.69 billion, and the August traded surplus was $27.9 billion. Exports jumped by 14.5%, topping the forecast of 8.9%. Imports were 14.3%, while the consensus estimate was 15%. China trade surplus with the US jumped to $34.13 billion – a record high. This adds weight to President Trump’s argument that the US needs to rebalance its trading relationship with the China. We could see traders have renewed fears about the possibility of the US imposing a fresh batch of tariffs on Chinese goods. 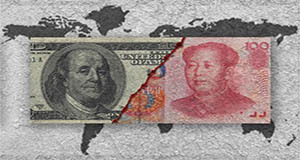 It was reported that Beijing is not manipulating their currency, according to US Treasury staff, and that led to a relatively calm session in Asia. The cooling of US inflation helped trader’s nerves a little, but it didn’t prevent a move lower around the time European markets were closing. US CPI dropped from 2.7% in August to 2.3% in September, and this was well received by investors as they are now a little less fearful the Federal Reserve will press ahead with their monetary tightening policy. It is worth noting that core CPI held steady at 2.2%, but it did miss the forecast of 2.3%. US government bond yields dropped on the back of the announcement, and the risk-off sentiment saw more money being ploughed into bonds. The US central bank was on the receiving end of President Trump’s ire as he blamed the sell-off in stocks on the institution. The Federal Reserve is intentionally independent of the government, but that didn’t stop Mr Trump from weighing in ,and claiming the rate hike in September, combined with the upbeat outlook, triggered the rise in bond yields, and in turn the fall in stocks. The greenback came under pressure yesterday, but the upward trend that began in late-September is still intact. When Mr Trump’s rhetoric dies down, traders will go back to following the US data. At 3pm (UK time) the US will release the preliminary University of Michigan consumer sentiment report, and traders are expecting a reading of 100.4. Yesterday the oil price seemed to have been dragged around by US equity markets. The Energy Information Administration reported a big build in US oil and gasoline stockpiles, and that matched the American Petroleum Institute inventory data on Wednesday night. OPEC trimmed its global demand forecast, and Hurricane Michael didn’t have as big an impact on the Gulf of Mexico oil rigs as expected. It was reported that the Brexit negotiations are going well, and a breakthrough could be achieved by Monday. The DUP have made it clear if Theresa May breaks any of their red lines they would be willing to withdraw their support for the Conservative Party. US pastor, Andrew Brunson, could be released from Turkey today as there is chatter that a deal has been struck between the two governments. We could see an improvement in the US-Turkey relationship. EUR/USD – has been diving lower since late September but if it holds below the 1.1510/00 region, it could pave the way for the 1.1632 – the 100-day moving average, to be retested. A break below the 1.1510/00 area, could pave the way for 1.1300 region to be tested. GBP/USD – has broadly been pushing higher since mid-August and if the positive move continues it could target the 1.3300 region. A break below 1.3000 could put 1.2895 on the radar. EUR/GBP – the key week and day reversal that we saw in late August could point to further losses and support might come into play at 0.8700. A bounce back could run into resistance at 0.8839 or 0.8900. USD/JPY – the upward trend that began in March is still intact, and if the positive move continues it might target 114.73. Support might be found in the 112.15 region.